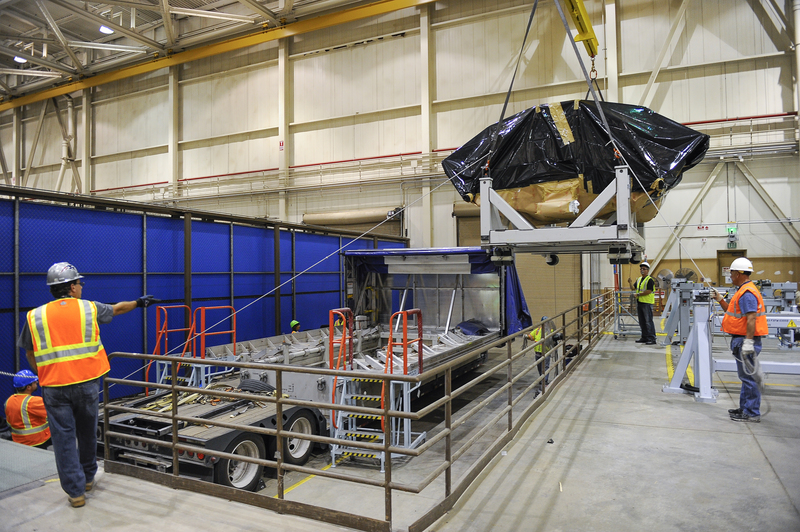 PALMDALE, Calif. – Oct. 3, 2013 – Northrop Grumman Corporation (NYSE:NOC) delivered the center fuselage for Australia's first F-35 Lightning II aircraft to Lockheed Martin on Sept. 23. This center fuselage will be integrated into a conventional takeoff and landing variant of the F-35 and represents the first of 100 center fuselages that will be manufactured at Palmdale for the Royal Australian Air Force. Additional photos are available at http://bit.ly/156Zsfj . A video accompanying this release is available at http://youtu.be/a-HnD8IJXZY . 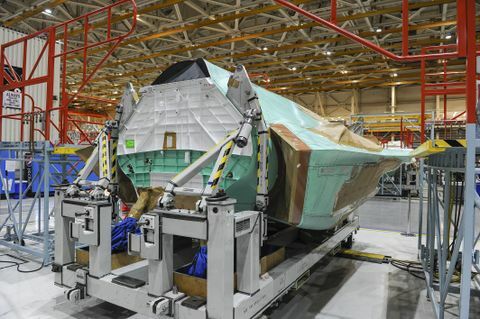 "This center fuselage will be incorporated into the first F-35 for the Royal Australian Air Force and will be delivered in 2014 for pilot training," said Brian Chappel, vice president of the F-35 program for Northrop Grumman Aerospace Systems sector. "The first Australian center fuselage was inducted into our Integrated Assembly Line (IAL) at Palmdale last October and now we've delivered it, marking yet another milestone achievement for the F-35 program." As one of eight international partners on the program, Australia joined the F-35 program in 2002 and has made significant contributions to the design and development phases of the program. Northrop Grumman's IAL maximizes robotics and automation, providing additional assembly capability while meeting engineering tolerances that are not easily achieved using manual methods. The IAL is central to producing the F-35's center fuselage as well as increasing the program's affordability, quality and efficiency. Currently, there are 35 center fuselages in flow on the IAL, including another center fuselage for Australia. As a principal member of the Lockheed Martin-led F-35 industry team, Northrop Grumman performs a significant share of the work required to develop and produce the aircraft. In addition to manufacturing the F-35 center fuselage, Northrop Grumman designed and produces the aircraft's radar and other key avionics including electro-optical, communications, navigation and identification subsystems. Northrop Grumman also develops mission systems and mission planning software, leads the team's development of pilot and maintenance training system courseware and manages the team's use, support and maintenance of low-observable technologies. In 2012, the company delivered 32 center fuselages and is on track to exceed delivery quantities in 2013. Northrop Grumman's Palmdale site is a world-class facility that provides assembly, integration, testing and long-term maintenance capabilities for the F-35 and some of the world's other most advanced aircraft, including the B-2 Spirit and RQ-4 Global Hawk.